…Nicolas Winding Refn has dropped the ball big time. Born into a Danish cinema family, partially brought up in America and making a real splash with his first movie “Pusher” as a mere 26-year old. The debut was a very realistic and gritty crime saga chronicling the seedy underbelly of the Copenhagen drug scene that kept most of the viewers on the edge of their seats, while the main character Frank through a series of really bad decisions hurried towards oblivion. You could see it as an early example of Scandinavian Noir, but in my mind it has always been a singular achievement from a rare new talent. Cinematically pretty straightforward but packing a hard and visceral punch. Very good acting from the crème de la crème of Danish thespians, including the awesome Kim Bodnia. This guy is just great in everything he does. If you don´t believe me, just watch him in the Swedish/Danish TV-series “The Bridge”. The follow-up “Bleeder” was much in the same vein, and carried the same energy forward. Many voices talked about a new star in the rising, and the early promise created a certain excitement. 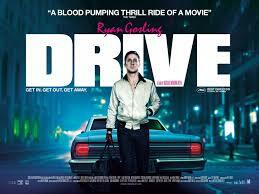 A few years of threading water followed, abruptly changed by the success of “Drive”. Almost universally hailed in Cannes and elsewhere, it´s in many ways a beautifully shot movie. I´ve never really understood the greatness of Ryan Gosling, but the lure of Christina Hendricks could never escape any warm-blooded male. That said, I´m not entirely sure that it´s mix of strong silent man, vulnerable but beautiful mother and ultraviolence really makes the grade. It´s catching for sure, but great? I don´t know and will have to watch it again to determine. 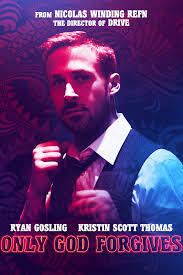 After this comes his latest movie “Only God Forgives”. A handful of great reviews conflicts with Cannes walk-outs and savaging by influential critics. On the surface it´s a story of expatriate American Julian and his brother Billy, running a drug ring in Bangkok barely disguised by their thai-boxing venue. After murdering a Thai child-prostitute in an almost suicidal chain of events, Billy is beaten to death by the girl´s father with the blessings of the mysterious Chang, a Thai policeman with a serious arch-angel complex. When the boy´s revengeful mother flies in from the US, a dire chain of events is set in motion, with much violence, bloodshed and mayhem as a result. Still, however brutal any character in the film is, nothing matches the foresight and dexterity of Chang. Swords are flashing, limbs are flying and blood is being let by the gallon. Not for the squeamish, belive me. Disturbing movie scenes very rarely make me flinch, but I have to confess that I found the eye-gouging part a bit too much. So, what does this all add up to? Some reviewers have talked about metaphysical drama, biblical references and psychological archetypes. Others about colour and scenography, sometimes even comparisons with Lynch, Tarantino and Kubrick. I don´t find any of that especially relevant in this case, and think it´s important to consider the difference between communicating actual content and just exhibiting a slow-paced emptiness. Lots of red colours and strange persons singing karaoke without any relation to the general story doesn´t make a David Lynch. Graphic violence without a believable context and a story-generated dialogue is exploitative and not Tarantinoesque. Long shots without artistry or anything happening is just boring and has nothing to do with the mastery of Kubrick. Make no mistake, this is a very bad movie. Not even exchanging the depth of ideas for beautiful surface, as is sometimes seen in contemporary film output. This is just silly, and not even the obvious Oedipal references can save this trainwreck of a story. In spite of one good actress being in the film (although acting badly), the rest of the cast is a mess. The celebrated Ryan Gosling is without expression and seems somehow anaesthetized. There´s no coherent storyline and no reason why you should even bother to care what happens to these characters. Still worse, there´s no one in this movie that you would find even remotely sympathetic or with understandable motives for their actions. While considering the different ways that people have tried to explain this movie I can´t help but think of the old quote attributed to Aristotle – “nature abhors a vacuum”. If it contains nothing, someone will try to fill it with something. Very much like the character Mr Chance played by Peter Sellers in the movie “Being There”, based on the 1970´s story by Jerzy Kosinski. That someone might find this movie visually interesting is not totally ununderstandable, even if I personally wince at the thought. However, that doesn´t change the fact that this is a blood-spattered emptiness. This entry was posted in Movies and TV-series and tagged Bleeder, Danish cinema, Nicolas Winding Refn, only god forgives, Pusher, Ryan Gosling on February 16, 2014 by danolofohman.